A guy just knocked on my door selling meat. Door to door. From a huge ice chest. The meats were flash frozen in boxes, and were obviously purchased from a wholesaler. I know, I’m probably just some kind of crazy meat snob, but I really do prefer to not to eat things out of a stranger’s trunk. 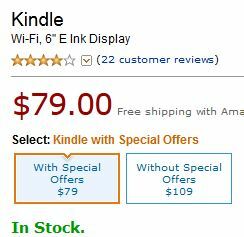 Apparently you can get the latest-gen Kindle for under 80 bucks. Granted, you have to get the ad-supported version, but that’s not really much of a hassle. The ads only show up as a screen saver when the Kindle is off, so it’s not exactly intrusive. Kind of shocking considering that the Kindle launched at $399 just four years ago. And even as recently as a year ago, pundits were wondering when the thing would drop below the $100 magic inflection point, and what effect it would have on the market. But 80 bucks? Combine that with the Kindle’s adoption of Overdrive for access to public libraries, and I think we’re in a pretty good place. Don’t get me wrong, I still love paper books and other brands of e-readers, but Amazon gets the nod today. The delegate from the sofa votes no confidence. This was the first chilly morning of the year, and the ground was -surprise- covered with cold dew. 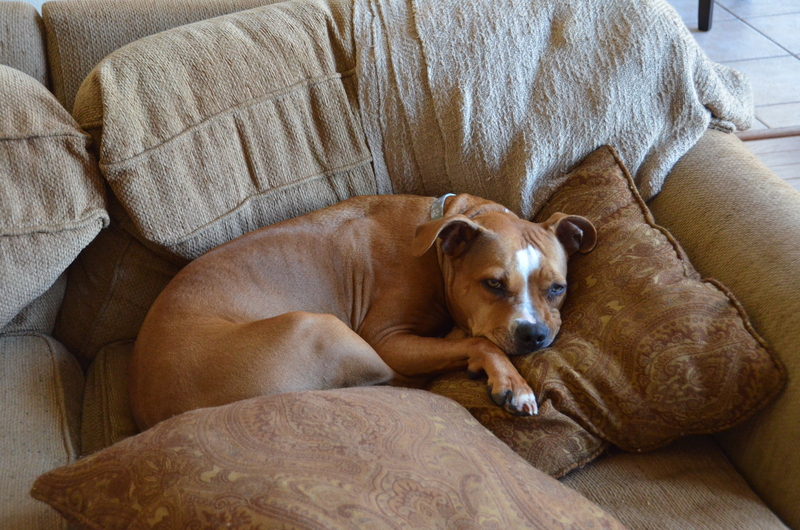 Cher went out, took one horrified step into the yard, looked over her shoulder with damp paw raised dramatically, and then promptly retired to the Fortress of Pillows for the day. It’s going to be a long winter for somebody. XKCD teaches us so much. I flew back from Chicago today and nearly missed my plane, which kind of sucked. On one hand, it’s nice that everyone wanted to talk to me while I was in town. It makes me feel appreciated, which is always lovely. On the other hand, I would have preferred that this appreciation not take the form of a conga line between me and the exit as I rush out to catch my plane. By the time I got to the airport, the plane was about to board, there was a crazy huge line at security, and for some reason known only to the IT department at American Airlines, seats couldn’t be assigned as normal, which meant another delay at the gate. Wouldn't it have been easier to land the plane first? 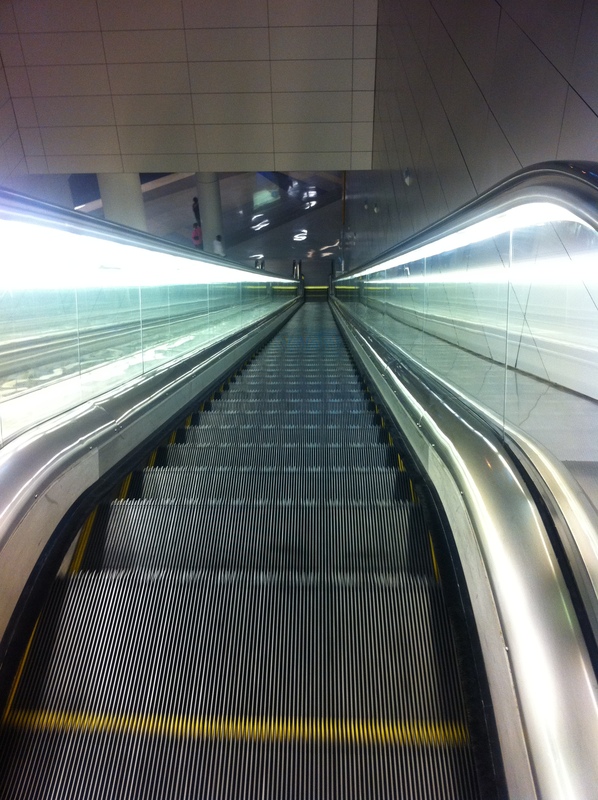 Pro Tip: Do not yell ‘WHEEEEE!’ all the way down the escalator. 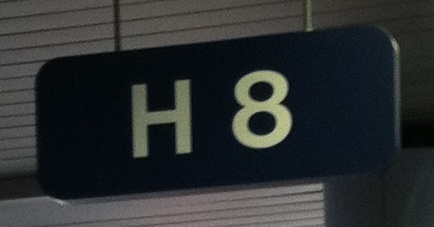 Apparently airport security has no tolerance for FUN. Huzzah! 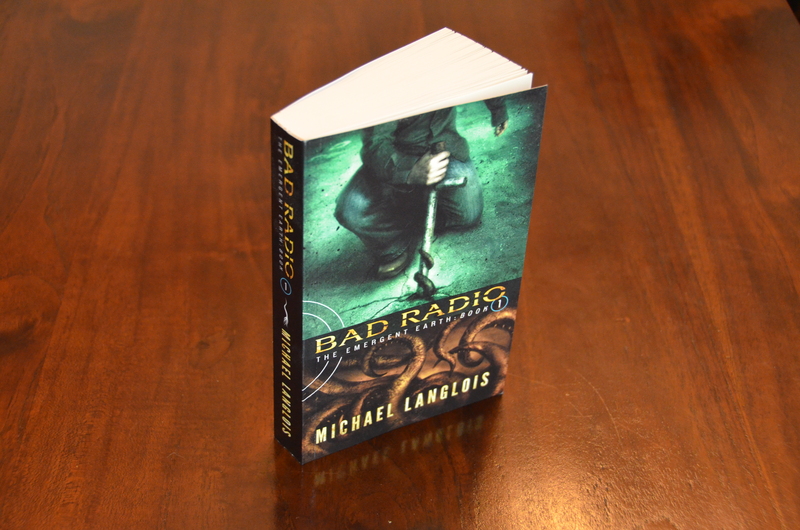 Got the proof copy of Bad Radio today. 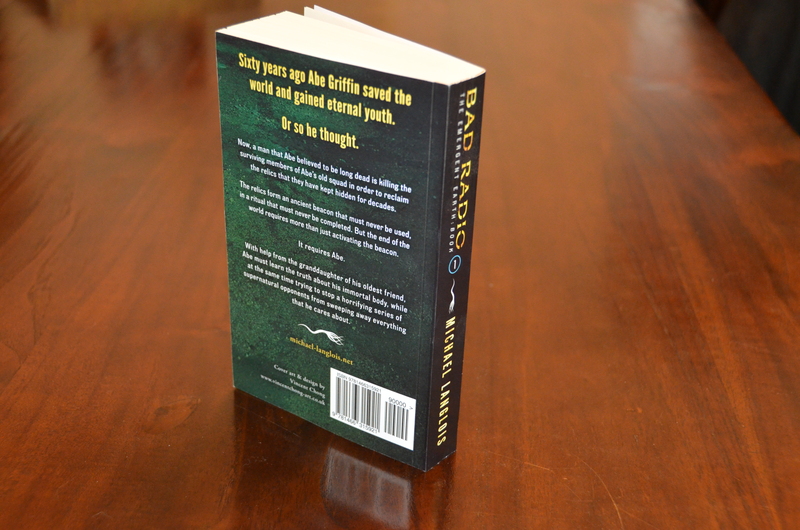 I have to say, it’s pretty cool having a version of the book that you can hit people with hold in your hand. So far everything looks great. I’m especially impressed at how crisp the chapter graphics came out. I’ll review tonight, and barring any crazy errors, it should be available this week. That’s nearly a month ahead of schedule, which ain’t too shabby. 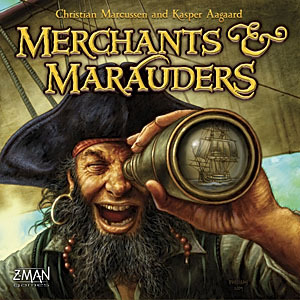 You’re as book-lovin’ a bunch as I’ve ever seen, so I’m sure that you’ve already come across Subterranean Press’s announcement today. 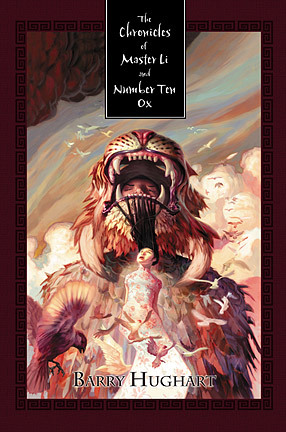 If you’ve never read about Master Li and Number Ten Ox, and I don’t know that you need to admit such a thing in public, I just want to say how incredibly, agonizingly jealous I am of you. Do yourself a favor and buy this collection right now before they’re all gone. I have multiple copies of the original books in my house, plus a signed collection that I gave to my wife as a present, and I’m still barely resisting the urge to get this one. Forget about that time I told you bees were delicious, and that other time that I swore my cat had a sense of humor about her tail. I’ll admit it, those were mean, hilarious lies that I told for my own benefit. This time, it’s all for you. 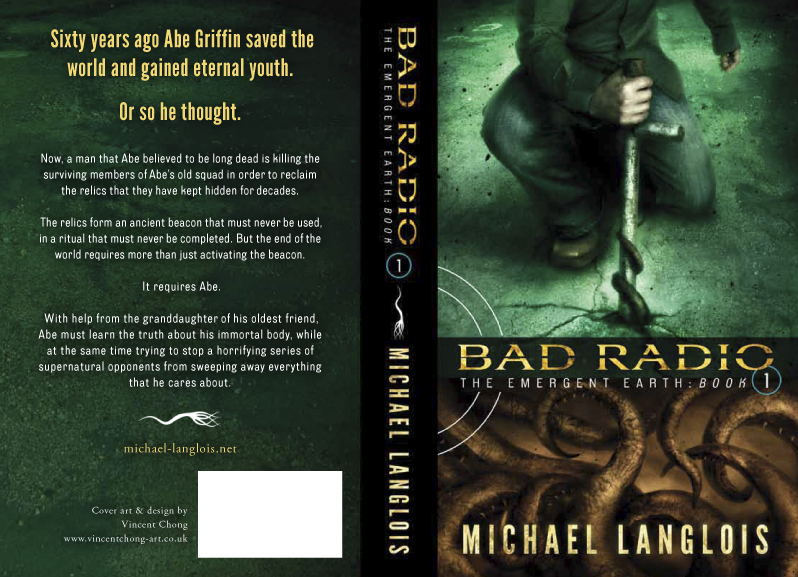 I just received a proof of the art for the print version of Bad Radio, and I don’t mind saying that I think it’s the bees knees. I really like the layout and color choices for the back copy, and how Vinny integrated the chapter art. 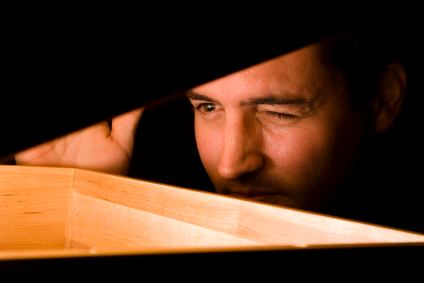 The whole thing just seems to flow without seeming fussy or too busy, which is harder to do than it sounds. 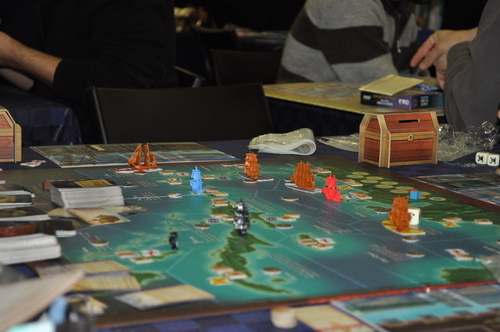 Looks like the print version will be out ahead of schedule, although I’m not 100% sure of the final release date. Hopefully this bit of good news will reduce the amount of punching I’m getting for having the two versions not come out at the same time.